Imagine a gadget that can fit in the palm of your hand, creates a widescreen experience and gives parents new, creative ways to spend more time with their kids. CINEMOOD, an innovative start-up about to launch an Indiegogo campaign, has developed a handheld, mini-projector that embraces the Internet of Things through its cloud connected projector, preloaded with safe and fun kids-friendly content. A simple user interface and collection of smart accessories makes the product fun and usable for all ages. 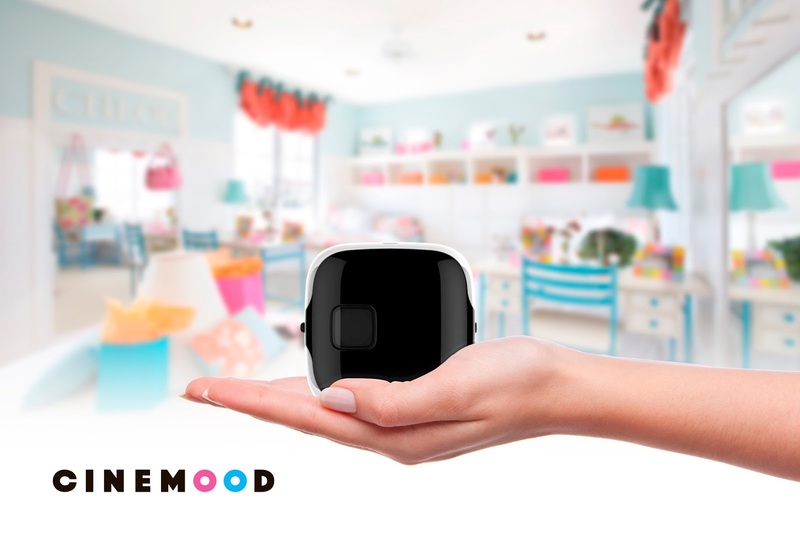 CINEMOOD will present a preview of its beta Version 2 device at The International Consumer Electronic Show (CES) in Las Vegas from January 6-9, 2016. CINEMOOD's portable projector allows users to bring the widescreen experience with them anywhere – family gatherings, movie marathons, sleep-over parties – through its preloaded, family friendly content and user content that can be downloaded via a USB. ToonBox, an international animation studio, is already one of CINEMOOD's content partners, and CINEMOOD is currently in negotiations with numerous others major content libraries. CINEMOOD embraces "edutainment" and its intelligent ecosystem is just a part of CINEMOOD's ambitious road map intended to bring generations closer through creating new family traditions and rituals. 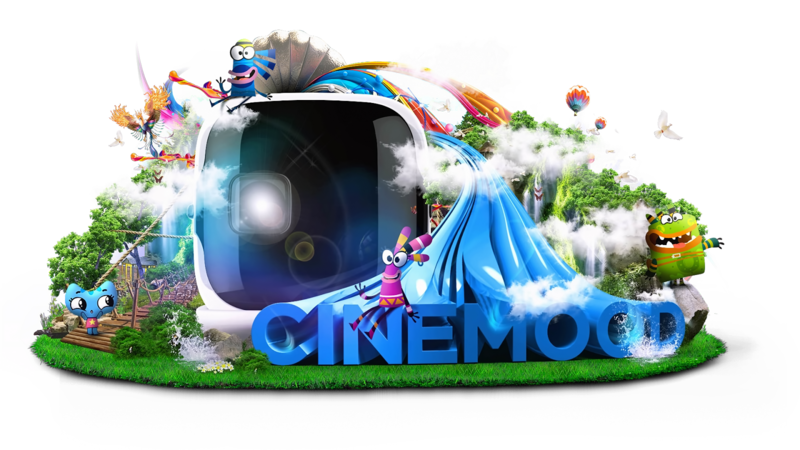 The current version of CINEMOOD is redefining the viewing experience for families and children with its projector's portability, sleek design and ability to view multiple types of media such as: video (mp4, avi, others), audio (mp3), illustrated books (pdf) and family photos (jpeg, png). 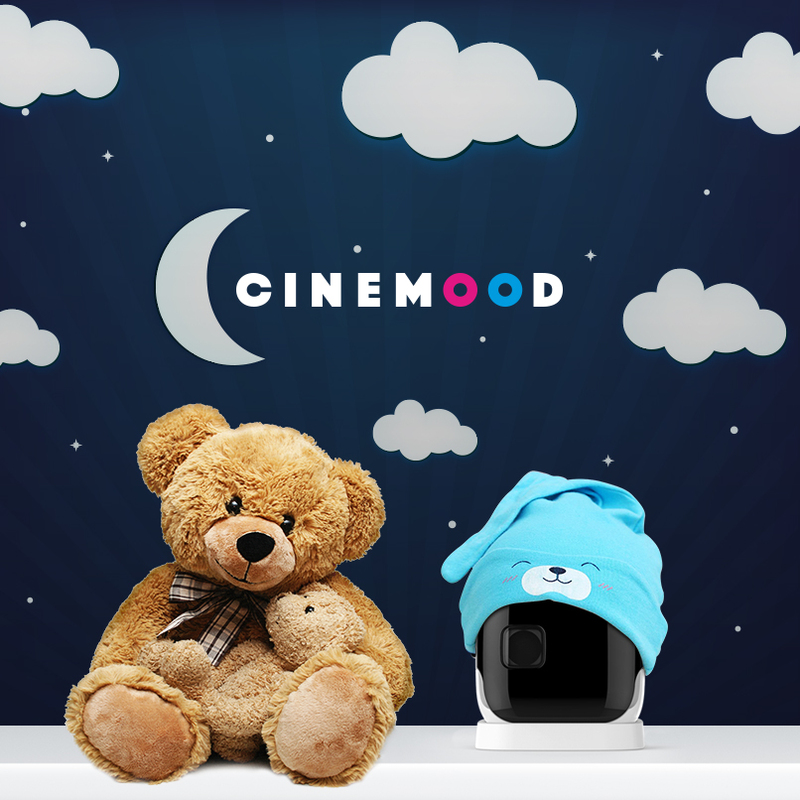 An Android mobile app extends CINEMOOD's features for a better experience, like sending family Video Messages, and convenient remote control adds to the device's functionality. Additionally, user content can be downloaded to the device's current version via USB so users can enjoy their own content – anytime, anywhere. CINEMOOD's next version's release, which will be launched following the Indiegogo campaign in March, will also include: Shadow Theater, a Gaming Gyroscope and extended compatibility with smartphones (iOS and Android) that allows parental control and the ability to easily download content via subscription. "CINEMOOD's team believes in the magic of everyday moments and that in today's ever-changing world that divides generations into digital natives and immigrants, we're creating a place where they all can get together and create beautiful memories," says Mike Bukhovtsev, Founder of the CINEMOOD project. "CINEMOOD has seen great commercial success in Europe and now the team is looking to transform the simple, everyday enjoyment of watching quality children's programming into an easy and rewarding experience both for parents and their children."